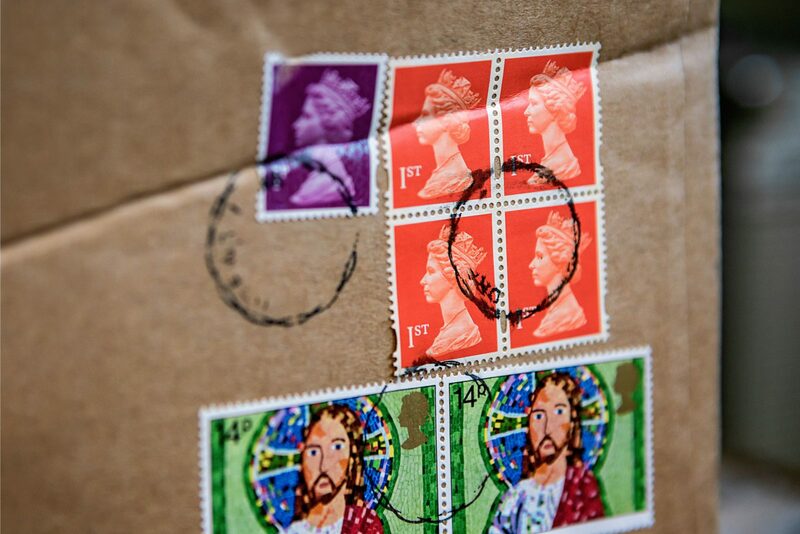 You can send letters and postcards weighing up to 100g for 58p with a 2nd Class stamp. Large letters up to 750g range from 79p to £2.22. You can also send parcels up to 20kg for £2.85 to £28.55. First Class is faster, so it will cost more. Letters up to 100g cost 67p to send by First Class post, with larger letters costing from £1.01 to £2.60. For parcels up to 20kg, First Class can cost from £3.45 to £33.40. On average it will cost at least £1.10 more for the Signed For delivery service. This allows you to track the delivery as it requires a signature to confirm acceptance of the mail. It is more secure and offers higher compensation cover, which is better for posting higher-value gifts. With Special Delivery Guaranteed, they will deliver the item safely by either 9am or 1pm the next working day. The prices for this range from £6.50 up to £56.04, depending on the weight. Tracked 24 and Tracked 48 are business services. Royal Mail International Economy Delivery is the more affordable option for sending mail overseas. It costs less because it takes longer to transport over land and surface instead of airmail. Economy Delivery is certainly the cheaper choice for sending heavier parcels. However, it is not ideal if you are in a rush. As you can see from the dates above, it may already be too late to send mail to certain parts of the world in time for Christmas. If you have to send presents to Eastern or Western Europe, you still have a bit of time. It takes 2-5 weeks and the prices range from £1.10 for 10g to £12.05 for 2kg. Letters and parcels have maximum size restrictions which you should check. Generally, for around just 5-30p more than Economy you could get Standard International shipping. It costs from £1.25 for small letters up to £12.10 for 2kg parcels. Royal Mail can deliver your Christmas cards and small present packages to Europe in 3-5 working days, and the rest of the world in 5-7 working days. For your peace of mind, you might want to pay extra for a Tracked and/or Signed For delivery service. The sizing rules and delivery times are the same. However, you will have the security of knowing where your parcel is and when it arrives. Royal Mail provides tracking information for Signed deliveries until they leave the UK and then require a signature before handing it over at the final destination. Tracked delivery offers 5 tracking points after despatch and will confirm the delivery online. Or you can opt for both Tracked & Signed with tracking from end-to-end, a signature requirement, and confirmation of delivery online. All the services begin at £6 and go up to £23, so you might as well choose the combined service. The British Forces Post Office runs a separate postal service for HM Forces. The BFPO addresses are used to send mail to HM Forces personnel in the UK and around the world. It is often free for relatives and friends of HM Forces personnel on operational duty to send mail to them. However, they have stricter packaging rules which you should adhere to carefully. You can send HM Forces mail in any Post Office branch and they will forward it for you. This is a service for personal items and mail such as presents, letters, and cards, not business mail. The last posting dates for HM Forces mail to arrive in time for Christmas 2018 are Monday 26th November for operational HM Forces or Friday 14th December for static HM Forces. It is advisable to post items earlier so that they definitely arrive in time. 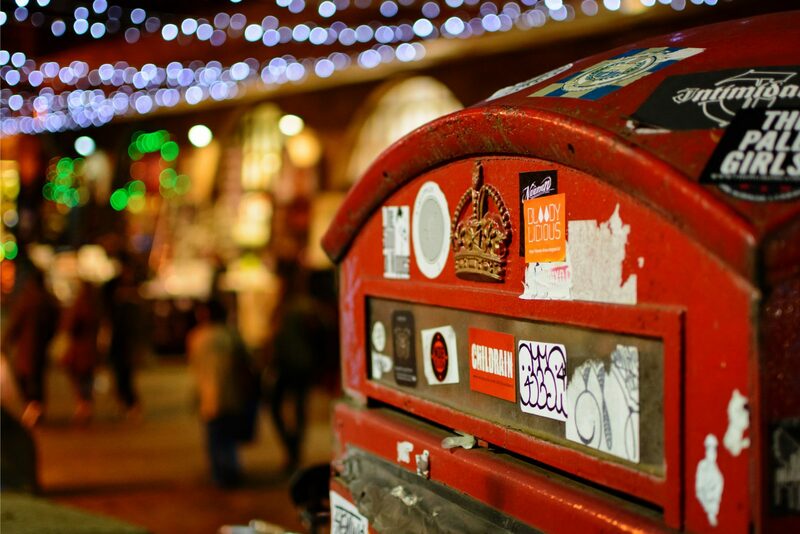 If you expect to receive deliveries via Royal Mail this December, or you are part of a business which requires Royal Mail collections, you should be aware of the disruptions to deliveries and collections over the holiday period. These are relatively minimal, as Royal Mail deliveries and collections continue as normal, and with no post on Sundays as usual. On Monday 24th December (Christmas Eve) there will be deliveries as normal but Saturday-style collections. There will be no postal service running on Tuesday 25th December (Christmas Day) or Wednesday 26th December (Boxing Day). Service will resume as normal the next day until Monday 31st December (New Year’s Eve). Deliveries will run as usual but collections will again be Saturday-style. There will be no postal service on Tuesday 1st January (New Year’s Day). Regular service will then resume again from Wednesday 2nd January (except in Scotland, as it is a bank holiday). Collections will not be available between Monday 17th – Friday 28th December unless pre-booked. Whether you are sending a parcel within your home country or abroad, one of the most important parts is getting the address right. If you don’t format it properly or miss a number or letter, your parcel may never get to the right place. You can check the correct way to write addresses for each country here. Be sure to check with the recipient, or use Royal Mail’s postcode finder, to get their exact address. It is also important to package your items correctly and securely. Make sure the packaging is strong enough for its contents, and that they are padded or wrapped to prevent damage in transit. Flatten any sharp edges and seal edges and openings with tape. Remember to check beforehand that you are not trying to mail any prohibited items. The full list includes goods and substances such as aerosols, alcohol, Christmas crackers, flammable liquids, lottery tickets, paints, perfumes, and perishable items. If you are sending post internationally, it is even more crucial to follow the rules. Package your items extra securely for the longer trip. The list of prohibited and restricted items may be more extensive for the country you are sending mail to. This is for reasons of legality and health and safety. Some countries might have international sanctions in place. Check this carefully before you send any mail abroad. You can look at the restrictions for posting something to the country of your choice here. Many countries don’t allow you to send money through the post. You also need to remember that you must fill out a customs declaration form if you are sending goods to a country outside of the EU. These are available in every Post Office and you are responsible for providing accurate information on the type and value of the goods. The customs authority in the destination country might charge the recipient an import fee. The full list of final posting dates for Christmas deliveries to countries outside the UK is available here. If you’re a business customer, this is the list of posting dates for Christmas deliveries using Royal Mail’s Business Services.